Trying on clothes will never be the same. There is a new smart mirror debuting in fitting rooms everywhere that is going to act like your personal assistant. The first retailer to introduce the smart mirror is Ralph Lauren’s Polo flagship store in New York City. These smart mirrors were created by a startup called Oak Labs. You will see more of these mirrors at other retailers as time marches on. The beauty of a smart mirror is that it recognizes the clothing you want to try on because it incorporates RFID, radio-frequency identification tags. As if it was magic, each piece is displayed on a large touchscreen. Then the fun begins. You can request different sizes and colors of each item you are interested in just by touching the mirror. A Polo associate does all the legwork. You just stand there. When you are done, you can simply check out right on the mirror. How convenient is that? Oak Labs is located in New York and can’t wait to read your user experience comments. For everyone else in the rest of the country., the smart mirror is going to pop up when you least expect it. Enjoy your privacy as long as it last. 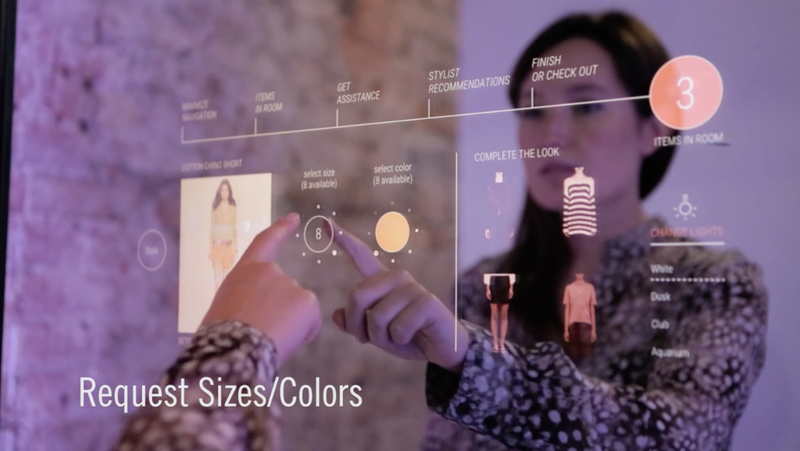 Smart mirrors are going to make fitting rooms interactive and you will never be alone again.